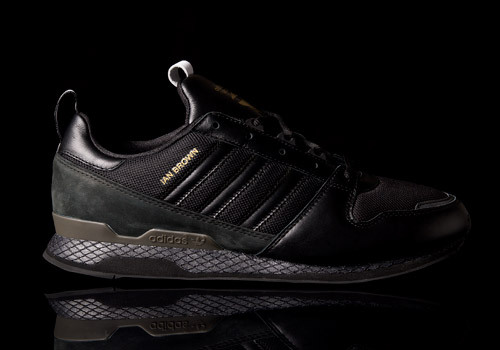 Kazuki Kuraishi (kzk) is at it again, teaming up with adidas for the Originals by Originals (ObyO) series to release a shoe inspired by the famous musician Ian Brown. 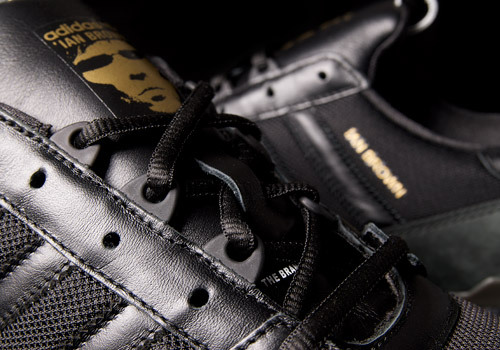 The English rockstar was featured in the 35th Anniversary series on a Superstar 1 and this time his face and name will shine on a ZXZ. 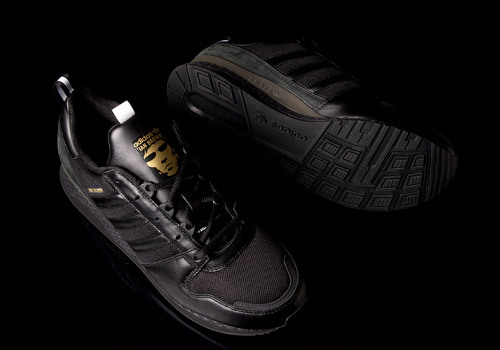 As always, Kazuki’s care and creativity are top notch, presenting an almost all black colorway in a myriad of materials. 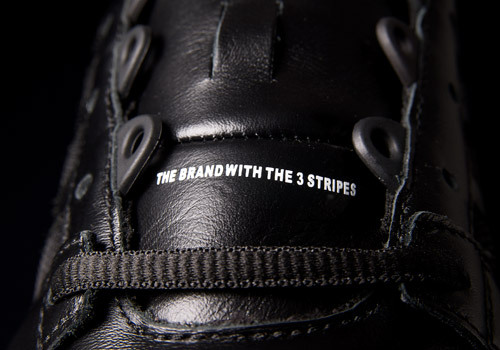 Mesh textile body, leather stripes, tongue, and toebox walls, and a suede heel leading down to a dark gray mid sole. 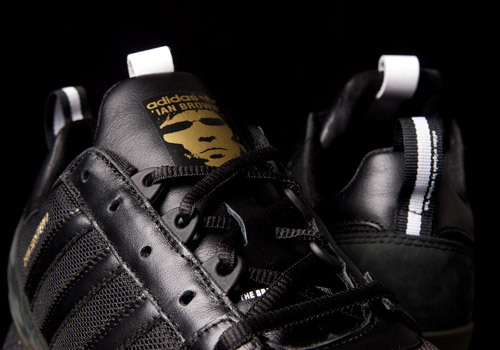 The eyelets are paired with black plastic ghilly’s providing a variety of ways to lace up the shoe. 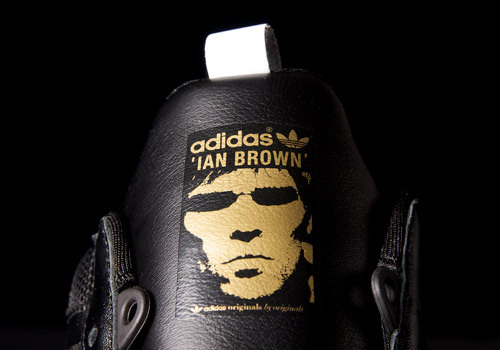 Brown’s face and name appear in gold, along with the adidas branding, on the top of the tongue. Lower down the infamous slogan, ‘the brand with the 3 stripes’, is printed in white. 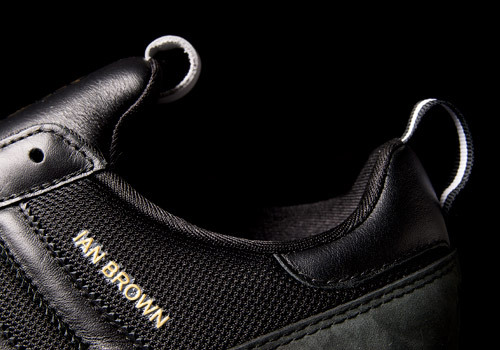 Brown’s name is displayed again on the side of the shoe in gold, above the third stripe. 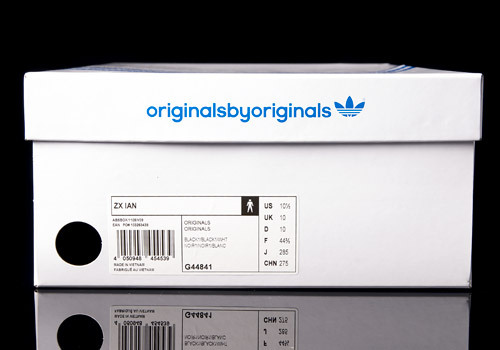 The shoes are completed with one of Kazuki’s iconic touches: a textile heel tag applied with attention to detail, marked with a white center stripe and the phrase ‘adidas originals by originals kzk’. On this pair he’s matched the heel tag with a white tongue tag as well. The shoes come equipped with black laces and packaged in the typical ObyO white shoebox with royal blue accents.